Watch the plants carefully. Row cover can trap flea beetles in. They’re soil dwellers. Yep, for row cover to be effective against flea beetles, you have to apply it immediately, right when you transplant, and before direct seeded crops emerge…row cover everywhere! I’ve seen ’em attack the tiniest, just-emerged seed leaves of brassicas. We put it on right after seeding for salad greens, and water in through it. 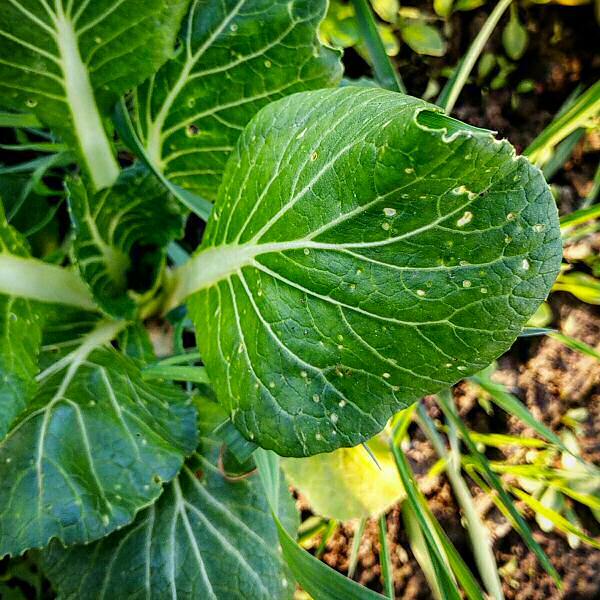 The FBs seem to have come and gone on this little test planting of bok choi – they do that sometimes in spring – and they haven’t hit other brassicas in the greenhouse, but I’ll cover future spring and summer seedings in there, just to be safe. You can also use Organic pest control products for Flea Beetles. Visit and choose your pest control products. http://www.theorganic.life/pest-control.html.